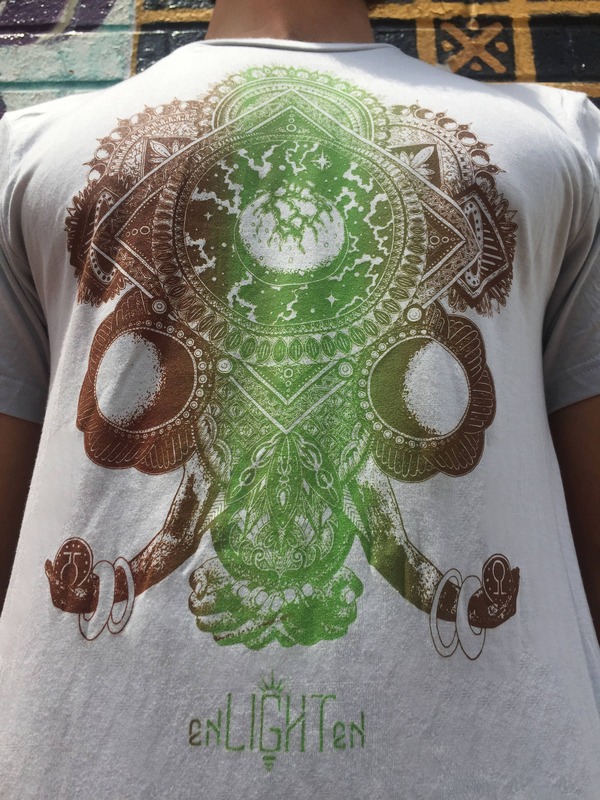 Organic Bamboo Cotton Tee, Planets Release Illustration By Raytheon Dunn. 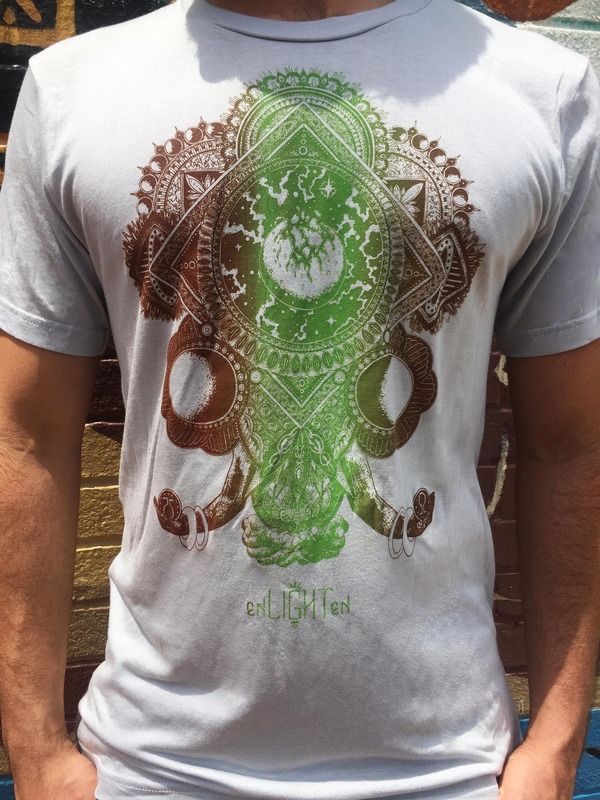 Original Eco Conscious Clothing By Enlighten Clothing Co.
Organic Bamboo Cotton Tee, "Planets Release" Illustration By Raytheon Dunn. 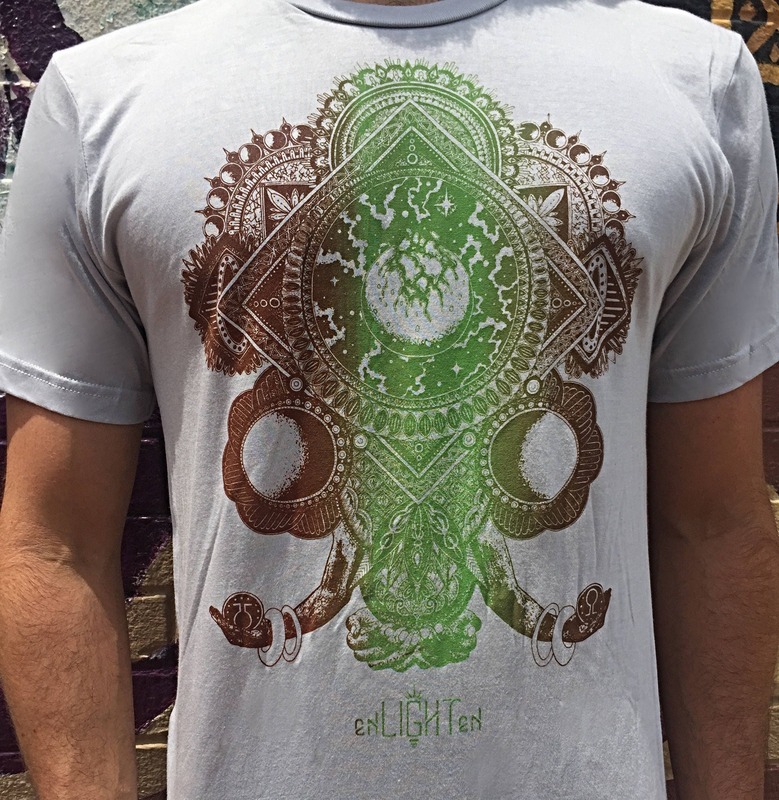 Original Eco Conscious Clothing By Enlighten Clothing Co. This is a hand drawn design by One of our 2016 sponsored artist's, Raytheon Dunn! This design is printed on a light gray, 70% bamboo/30% organic cotton shirt. Bamboo is an anti-microbial and extremely soft to the touch.